Are you curious about the world of electric toothbrushes and considering trying one out for the first time? Or perhaps you have been an electric toothbrush user for some time and are ready for an upgrade. 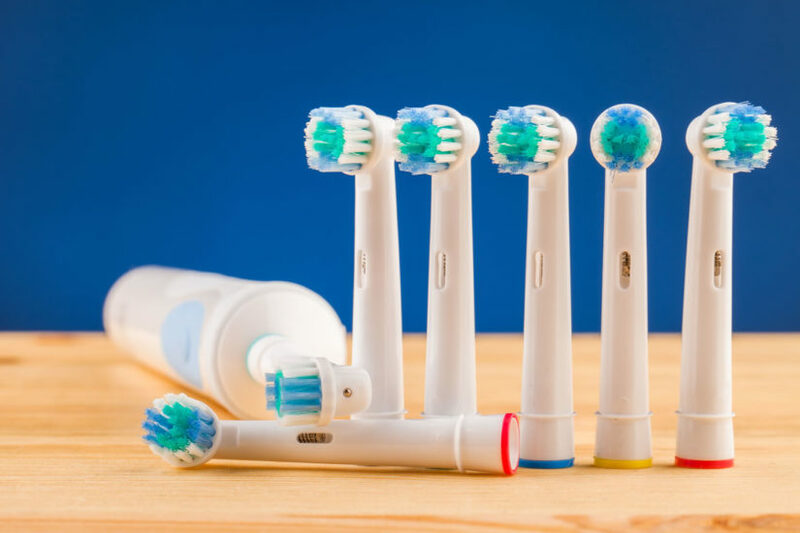 Whatever the reason, you have come to the right place because here you will learn everything you need to know about finding the electric toothbrush that’s best for you. Which is better, electric or manual toothbrushes? Deciding whether to use an electric or manual toothbrush involves two main factors: cost and control. Manual toothbrushes are considerably less costly than their electric counterparts and do not involve batteries or mechanical parts that may need frequent replacing, making them the more economical choice. They also offer more control as you have to move the toothbrush around your mouth manually. This is a positive aspect for people who have sensitive areas in their mouth or are uncomfortable with vibrating sensations on their teeth. Manual toothbrushes do, however, require the user to have a vigilant brushing technique because the toothbrush itself doesn’t do any work. Electric toothbrushes, on the other hand, can be quite pricey both in the initial buy and then replacement parts later on. However, they do provide a great clean and are excellent for those who are less meticulous when it comes to brushing their teeth. As an added bonus, many electric toothbrushes now come with timed cleaning programs that alert you when to change sides of your mouth to ensure that you brush long enough. Learn more about the differences between manual and electric toothbrushes and floss. If your brushing technique could use a little help, an electric toothbrush with a timer would be a great option for you. These timers are generally in 30 second segments because the intention is to have you brush each side of your mouth, top and bottom, for thirty seconds each. This gives you a total brush time of two minutes and ensures that you pay equal and adequate attention to your entire mouth. Some electric toothbrushes have timers that last only 30 seconds and others have full two minute timers that alert you when 30 seconds have passed and it’s time to switch sides of your mouth. Which one you choose is up to personal preference and how much monitoring you would like. If you’re looking for an electric toothbrush for your child, choose one that is designed specifically for children. These are smaller so that little hands can manage them easier, and come in fun colours and designs to make brushing more fun. Be sure to choose a toothbrush that has very soft bristles to avoid damaging their gums or tooth enamel. Studies have shown that rotating-oscillating electric toothbrush heads, the type that quickly spin in a circle, require slightly less movement by the operator to gain a decent clean. This do not mean that the toothbrush will do all the work for you, but rather it refers to the fact that, with 360 degree turns, the toothbrush head does more concentrated cleaning compared to heads that only move side to side. Therefore, rotating-oscillation electric toothbrushes do not need to be moved side to side to gain a great brush, as you would do with one that has a head that moves side to side. They just need to be moved around the mouth to ensure all areas are being targeted. Some electric toothbrushes have a pressure sensitivity feature that alerts you when you are pressing the toothbrush too hard against your teeth. This is great for those who brush aggressively or for older children who are learning to brush their teeth on their own. This feature not only saves your toothbrush heads, but it also protects your gums and tooth enamel from being damaged. If your gums feel irritated or you feel pain in your teeth after brushing, consider stepping away from the traditional brush head and try a completely silicone electric toothbrush. The soft silicone bristles rub against gums and teeth rather than scrubbing against them to clean without aggravating. There are many electric toothbrushes on the market that boast extreme cleaning power and vibrating action but can be quite loud when in use. Unfortunately, there will always be some sound when it comes to electric toothbrushes, though there are some types available that are more quiet than others. Look for ones that say, “reduced noise” on the package and has smaller strokes. A popular choice for a quieter electric toothbrush is the Philips Sonicare, although there are others available. If you’re a frequent traveller, there are some considerations to make when choosing an electric toothbrush. If space is an issue, choose a toothbrush that is compact and has a small travelling case. There are electric toothbrushes on the market that boast a pocket-sized version, just be sure that you are getting the highest number of brush strokes per minute possible to make sure you aren’t sacrificing quality of cleaning for space. Another consideration to make is charging. If having a full charging station for your toothbrush isn’t appealing, go for a toothbrush that can be charged in its own travel case. These don’t take up much room and often even have a USB port for easy charging. As with any change in your oral healthcare routine, consult your dentist before choosing a new toothbrush. They will be able to advise you on exactly which brand of toothbrush is right for you while taking into consideration the health and areas of concern for your specific mouth. If you don’t currently have a dentist or are looking for a new dental practice, visit the 123 Dentist search page to find a dentist in the Lower Mainland.